Can you believe it’s that time of year already? I can’t believe our youngest will finish her first year of high school in just two more weeks! Her graduation will be here before we know it! 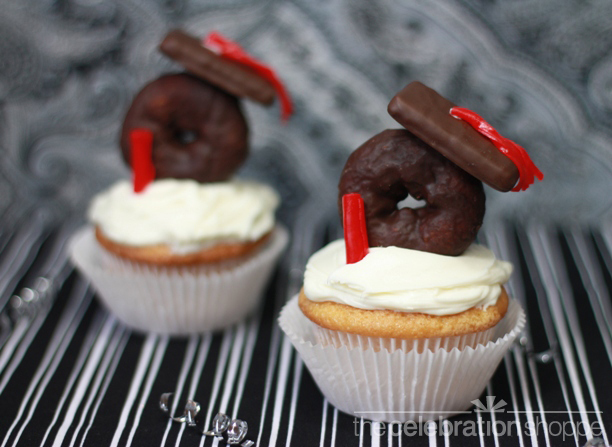 Glorious Treats show you how to make these CUTE fondant graduation caps for your cupcakes! 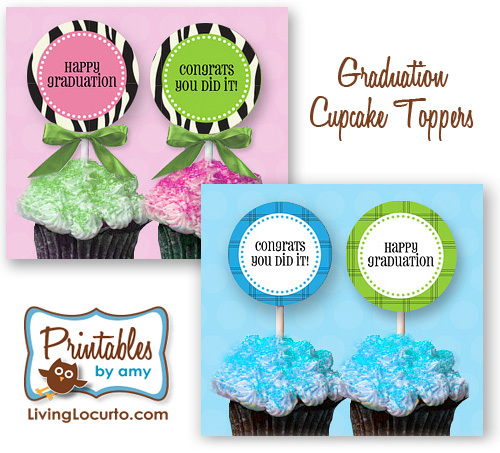 Amy at Living Locurto has some great FREE cupcake toppers and gift tags you can download. The whole shabang here at Frog Prince Paperie from printables, to cookies, push pops (on my MUST MAKE list) cake toppers, decor and more! 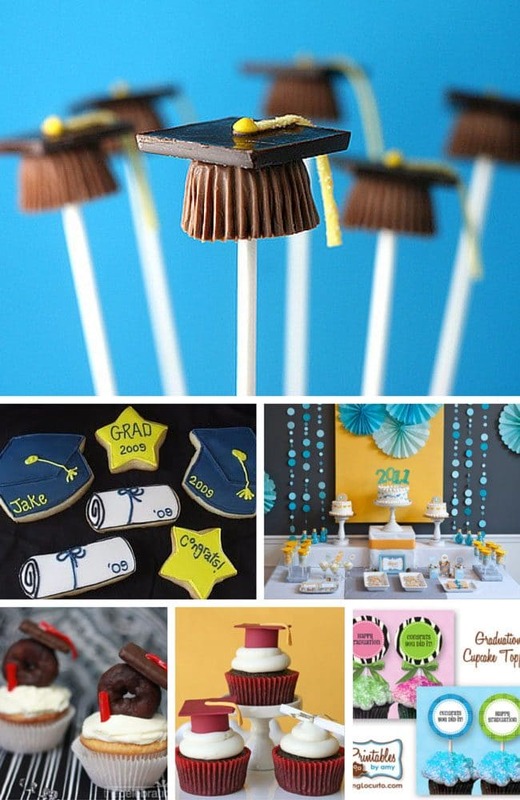 Are YOU planning a graduation party? I’d love to hear what you have planned. Our oldest daughter graduated high school a year ago. It’s such a special time to celebrate. So many cute ideas! I love the fondant caps. Thanks so much for hosting! Oh it’s so refreshing to be able to comment!! Blogger has been down for days!! Hi! great stuffs. I’m wondering how you did you make the blue flowers on the blackboard? 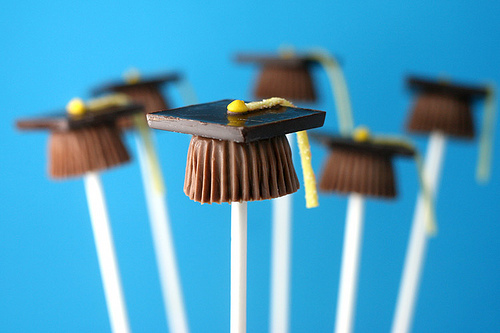 I made bakerella’s graduation pops for my boyfriend three years ago when he earned his MFA…and I recommend them to everyone! They were so simple to make and turned out indescribably cute! We had three college grads last year, but nothing this year! 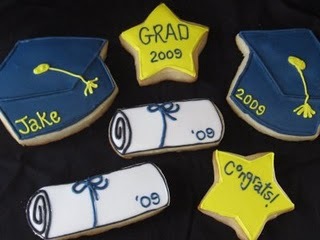 Cute grad treats! I love the red velvet cupcakes! So cute! Sorry, the photo did not come out for my strawberry lemon pound cake. Ugh, so late to the party this week! As always, thanks for hosting! 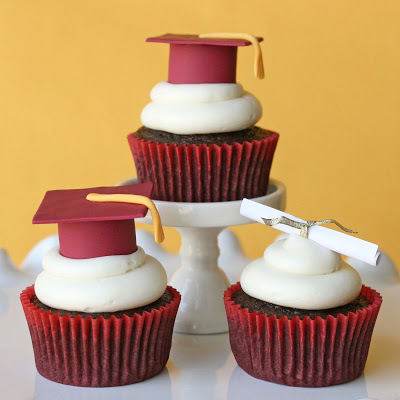 Thanks Cheryl for sharing my graduate cupcakes! So very sweet of you to include me! Happy Monday! My graduation party was a few years ago but we coupled it with my 18th golden birthday and went with orange (my favorite color) and blue color theme. 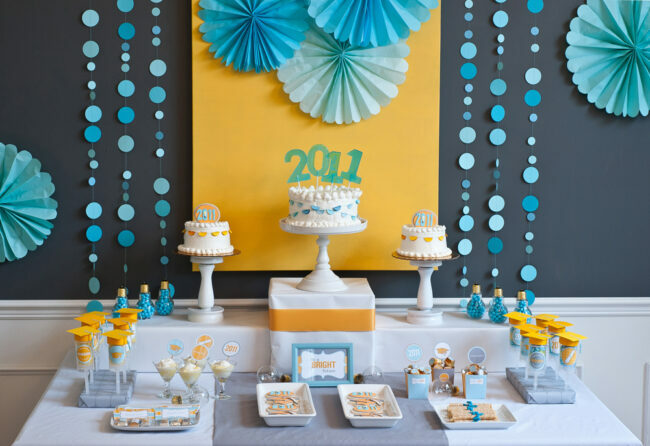 It was more focused on the colors than any specific theme, but those dessert ideas are very cute and I might use a few for my college graduation next year. We made wraps and fruit platters which took time but it was tons of fun!